At this year’s International Aviation Forecast Summit, I was particularly excited to have a chance to sit down with Spirit. Last year when I spoke to CEO Bob Fornaro, we talked about a variety of topics, and I was looking forward to following up on those. But I also just wanted to get one last sit down with Bob before he leaves the airline at the end of the year. His successor, President and CFO Ted Christie, joined us for the discussion. Today’s post focuses on the “network” part of our discussion. Next time, we’ll talk about the operation. Brett Snyder, Cranky Flier: Bob [Fornaro, CEO of Spirit] came in with some fairly clear goals about operational improvement. When you take over, is it going to be an extension of what he has started or do you have your own projects/agendas? Ted Christie, President and CFO, Spirit Airlines: Broadly speaking it is a continual effort that obviously Bob led, but it was a wholesale management effort to, as we said early this year, to invest in our guests; to show them that we’re committed to running a quality airline with a real value proposition that in some ways can be unparalleled in the business. You pair low fares with reliability and friendly airline travel with brand new airplanes and down the road, obviously, more available amenities like wifi. We think we address a unique customer segment that way. So that will continue to move forward and evolve. I have my own views about how we’ll continue to move forward as well, but broadly speaking we’re 100% aligned. This is a consistent improvement process. We’re well on our way but we’re not done. Cranky: So what is your vision for the next year once you step in? Ted: It starts with the value proposition, and we have our head on our shoulders correctly there. But where airline geeks really get involved is network. It’s always about network because that’s what’s the most intriguing. It drives the business plan. You see better operational performance, better guest engagement… the tenor has changed. The discussion around Spirit is beginning to evolve. Underneath that is the beginning of a network evolution as well. We’ve broadened our network but diversified. We’re big now in large metro areas, we’re big in big leisure destinations, and our international footprint has evolved as well. So the intriguing part of the airline geek side is how do we continue to manipulate those three things to best deliver on the return? Ted: Exactly. Availability of gates or real estate [or] the type of airplane we’re delivering at a particular moment might be better suited in certain markets. All of that changes. Cranky: As Bob was saying this morning, real estate — infrastructure constraints — are issues, but how much of an issue is that for you now? Obviously you’d like to grow in Newark and LA, but how much of an issue is it? Or is it really just an industry issue? Bob Fornaro, CEO, Spirit Airlines: I think it’s generally an industry issue. New York is the toughest, and we would just like to be bigger there. That’s the hardest one, and we don’t know the path. Eventually there will be opportunities. The Port Authority will find a way and want more competition. We spend a lot of time on real estate, and we have real estate in Chicago, Dallas, and in fact, Los Angeles is a place where we actually have some. 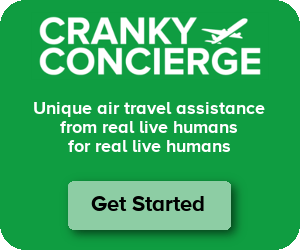 Cranky: Oh you do have some slack there? Bob: Yes, but you’ve gotta be pressing on it. It takes several years to even get a gate at any of these airports. So what you’ve gotta do with your growth plan is have a lot of options and be flexible as to how you act on them. Newark, we didn’t know we were going to get Newark all of a sudden. They made an adjustment between FAA and Port Authority and we moved fast. Now that window is closed, but there may be another window. Maybe it’s 2 years from now. Cranky: But for you overall, that’s a bonus. If you can get into them, you get into them, but it’s not like there’s a shortage of growth opportunities? Ted: That’s correct. I mean, I won’t understate it. We’re in front of all the big metropolitan areas all the time talking about our product, the value proposition, the growth opportunity. And they want us there. The good thing is they’re government-owned entities and their job is to grow competition. It’s just a matter of finding slots. So to Bob’s point, we’re always making sure that when discussions come up, we’re there. But you’re correct, the growth opportunities beyond the big metropolitan areas are there as well. You’ve seen us do some of that as well, we’ve got Greensboro, we’ve got Asheville, we’ve got the big international expansion out of Orlando. Those types of things we will continue to do as part of that diversification plan. Cranky: The international piece… obviously you built Ft Lauderdale years ago from an international perspective. It seemed like the big growth was domestic — big city to big city — for awhile. And now of course, Orlando has this big expansion internationally. Was that just the right opportunity at the right time or is this a shift away from domestic as the pricing environment has become more difficult? Bob: Let me take a crack at it. Those were the opportunities at the time. I think if you go back to ’12/’13/’14, a lot of the expansion opportunities came — might have been created — from the AirTran/Southwest merger. If you remember during that time, American was going into Chapter 11 and still struggling. Cranky: Yeah when you built up DFW, it was blue skies forever. An easy market. Bob: Those were the opportunities that were available. Since then, American is very aggressive. They compete. We have a very good position in Dallas, but we’ve moved on to all the other opportunities. It was years before we got the additional gates in LA, and we have them today. Quite frankly we were quite small in Orlando and there were no gates until the new concourse goes up, so we made a fairly big push last year. Very quickly it’s going to probably be our second biggest city. I like the flexibility and the optionality that we have. It’s so different when people think about a route network. You think about it from a big airline perspective, geography based. I think in our own way we have a route network that looks like something now. It makes a lot of sense. Key big cities, large leisure markets, international. The basket of opportunity we see today is probably bigger than a couple years ago. Cranky: Really, it’s bigger than a couple years ago? How so? Bob: Just the way we’ve looked at it, I think. Cranky: Oh so it’s how you’re evaluating it that’s changed. And of course, your cost performance has been pretty impressive to say the least. Look for the second part of the interview soon. Thanks for sharing. Look forward to Spirit hopefully bringing a lot of commercial innovation to the market. I have to wonder how serious the NY line is. If they were serious about the market as a whole, there’s still open spots in JFK, especially if they can tolerate off-peak times like they have in other cities. Also, in before the inevitable complaints about the smoking graphic. Interesting airline but if only their on board product wasn’t so awful. If it’s not the 29 inch pitch, it’s thev actual seat that feels like pleather stretched tightly over steel bars. Regardless of price, I just can’t do them again. Ever. I hope Spirit can find real estate here in Austin. Would have made a good podcast episode.